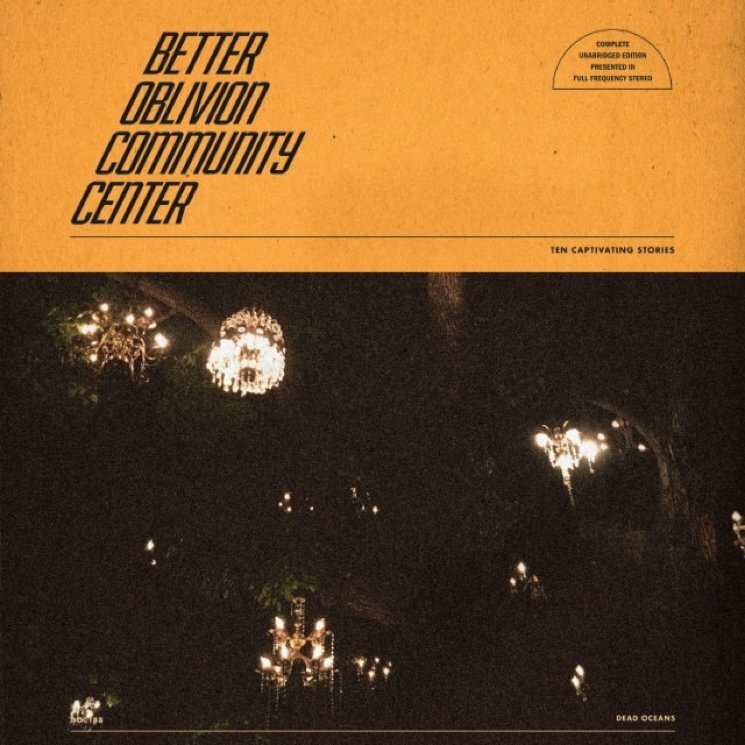 After weeks of cryptic brochures and strange voicemail recordings, Better Oblivion Community Center has been revealed as the new project of Bright Eyes leader Conor Oberst and singer-songwriter Phoebe Bridgers — even though promotional gimmicks are completely superfluous to the pair's songwriting gifts. The band's self-titled debut opens with the gorgeous "Didn't Know What I Was in For," a folksy ballad that laments the world's ills (homelessness, cancer, capitalism, the Syrian civil war), but also mocks our feeble attempts to help with a chorus that rings: "I didn't know what I was in for when I signed up for that run / There's no way I'm curing cancer, but I'll sweat it out / I feel so proud now for all the good I've done." Rather than coming across as a malicious attack on slacktivists, though, it empathetically encapsulates the rampant hopelessness and compassion fatigue facing the world in 2019. "Sleepwalkin'" (ironically enough) is slightly livelier, shifting back-and-forth between verses by Oberst and Bridgers before the pair unite for the finale — establishing a give-and-take-and-share dynamic that lasts through the rest of the album. On "Dylan Thomas," Bridgers' recurring sonic images of ghosts and hell seamlessly blend with Oberst's familiar references to famous writers, American iconography and alcohol. Oberst leads on "Service Road," and "Exception to the Rule" sounds straight out of his Digital Ash in a Digital Urn era, while "Chesapeake" beautifully echoes Bridgers debut record, Stranger in the Alps, and "Forest Lawn" revives her morbid fascination with cemeteries and death.